Which is better value: a cruise or a land holiday? Cruising is often compared to land holidays, with each battling its own corner for value and service. Everyone has their favourite, but which offers the best value for money? From seven-night getaways to the Mediterranean to adventures in the Galapagos, choosing whether to cruise there or book a land holiday can be hard. However, we have outlined all of the elements to consider for your next holiday to show you just how easy a decision it can be! This is usually the very first thing you decide when looking to get away. 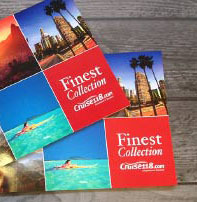 It either motivates you to start thinking about a holiday or is the cornerstone of your research for hotels, activities, cruise lines or airports. Many of us have bucket lists as long as our arms with wanderlust-inducing destinations we would love to see in our lifetime. But which is the best way to tick some of these off – a cruise or a land holiday? If you’re keen to visit multiple destinations in one trip, a cruise is an ideal way to travel. Exploring the Mediterranean or the Eastern Caribbean, a cruise lets you explore many ports of call during one holiday, giving you a taster of each as you go. This is a great idea for those who aren’t sure if they want to commit to a lengthier holiday somewhere, or want to visit lots of destinations at a fraction of the cost and time! Many cruises don’t just stick to one destination either, there are plenty of cruise lines which explore cross-ocean into several continents for true exploration. 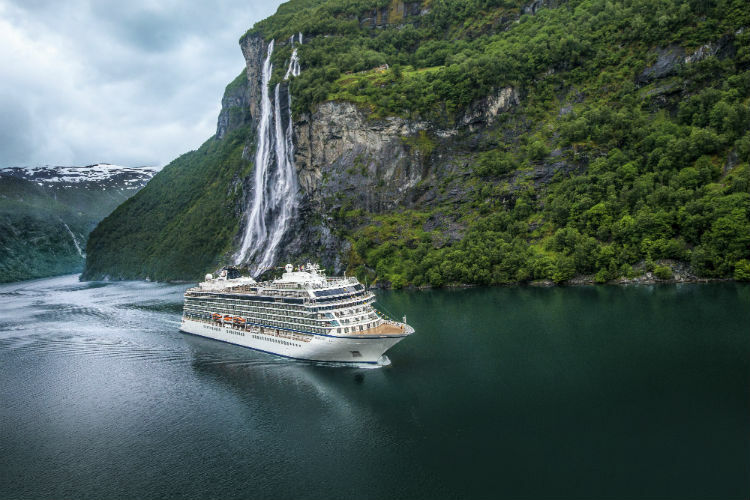 As for your luxury cruise lines, these even venture into places that are quite expensive to visit otherwise such as the Antarctic, the Galapagos and the South Pacific. When deciding on a land holiday, you will be tied to one destination. This is great if it’s somewhere you know you’re going to love, but not so much if you want to travel around a little. If you’re looking to see multiple destinations, then you would need to factor in the cost of multiple hotels, travel and even flights, depending on how far you want to go. If you’re keen to visit more unique places such as the Polar Regions or the South Pacific, there are often multiple legs of the journey to consider, as well as struggles for individuals to enter some of the more remote places such as the Galapagos. Land holidays are great for holidays where you want to stay in one place. However, if you want to stay in one place, a cruise is perfect! A cruise allows you to travel to a broad range of destinations almost anywhere in the world. The accommodation is another top-level decision to make for your holiday. Do you want a sea view? Are you going to be spending a lot of time in your room? Would you like to sit outside? All of these questions (and more!) can help you determine what room and what holiday type to choose. Accommodation on a luxury cruise is similar to that of a 5* hotel back on land. Your room is spacious and welcoming, with modern fixtures and stylish furnishings, even when picking an Inside room. As for Suites, these are a next-level luxury. Many offer additional amenities such as butler service, 24-hour room service, priority embarkation and speciality dining, all of which can help make your holiday that much better. 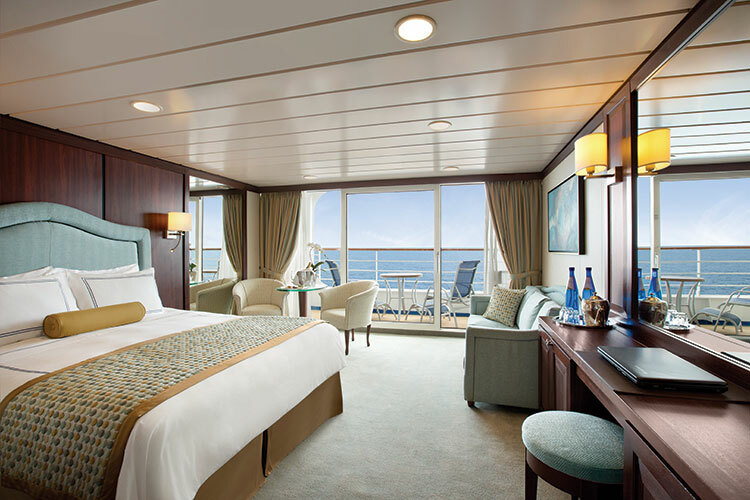 Ships offer a wide range of staterooms to suit all budgets, as well as group sizes. You can even choose your stateroom location right down to the cabin number so you know where you will be staying on-board from the moment you book. The beauty of cruise accommodation is also that your room travels with you to each destination. 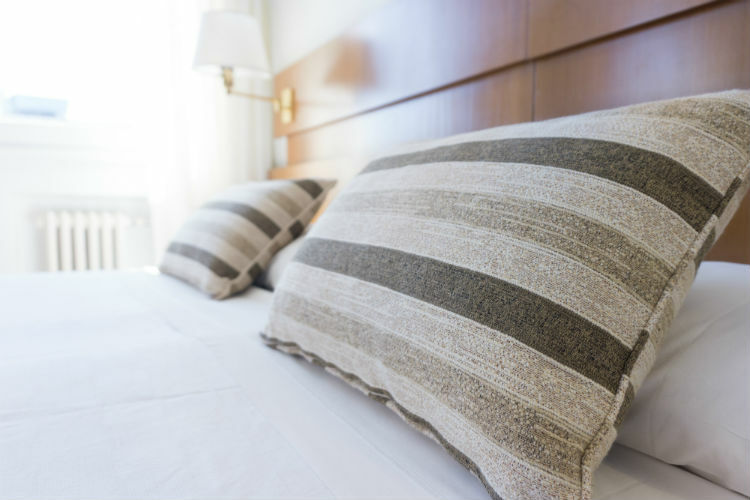 There is no need to pack and unpack over and over or get settled in one hotel room to move again in a few days. You can still explore as you pass into each port, but you have the benefit of going back to your home-away-from-home each night for a well-deserved rest! When you book your accommodation for a land holiday, there is limited flexibility in comparison to a cruise. The location and room number are often out of your hands, so you can’t determine if you’ll be near a noisy area or a far walk from the dining venues. 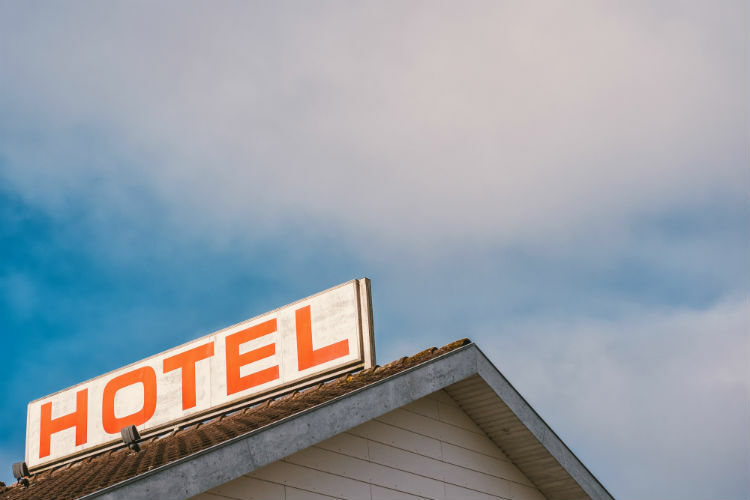 Once you have picked your location and flights, it limits your choices, so you can’t guarantee if the hotel you have your eye on will be available for you to book. With a land holiday, you can stay in the heart of your destination. You also have a huge choice of accommodation styles from hostels to villas. However, you can’t pre-select your room in a hotel in the same way you can with a cruise – such as location and room number. Another cruise benefit is that your accommodation travels with you, so you don’t need to uproot each time you visit somewhere else. As you plan your holiday you will be thinking about how to get there and how to explore once you’re in the destination. Flights, hire cars, taxis and public transport all come into the equation and leave us thinking which is the best for us? More often than not, you can include flights on the cost of your cruise. Luxury cruise lines such as Regent Seven Seas Cruises, Scenic Ocean and Viking Ocean all include flights in their fares, where required. As for the others, you can speak to your agent about adding them in from your preferred airport. This keeps it all packaged together and sometimes even brings down the cost! Now, once you reach the other side, most cruise lines also include a shuttle service from the airport to the cruise terminal for smoother embarkation and ease for their passengers. You can even upgrade this with some cruise lines to a private transfer to a little bit more luxury. When you’re sailing, transfers between port and ship are also included where available. So, while you may dock far from the city centre, your cruise line will ensure you have plenty of time to explore and make the most of your visit. With a land holiday, every step of this is an additional cost. 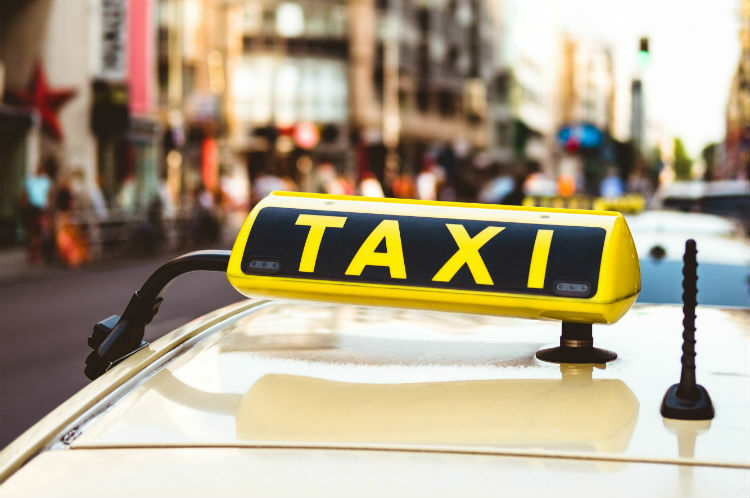 From flights and taxis to and from the airport to manoeuvering your way around a busy city to find public transport with your luggage in tow which, if you’re visiting a new destination, can be tricky to master. When you’re arranging every aspect of your holiday yourself, the travel can often be one of the most expensive elements. One of the benefits of a cruise is that your travel can all be included. This means from the moment you leave your home to returning sometime later, its all taken care of. Costs are covered in your cruise fare and you can upgrade for little luxuries such as private chauffeur or business class flights. If you were looking to take a land holiday, you would need to research and plan every step of these yourself. Food can often be a reason we long to travel. From local delicacies to new-found delights, food is explored during your holiday, but which offers more choice and value – a cruise or a land holiday? A cruise ship is a home to a breadth of dishes, flavours and cuisines. 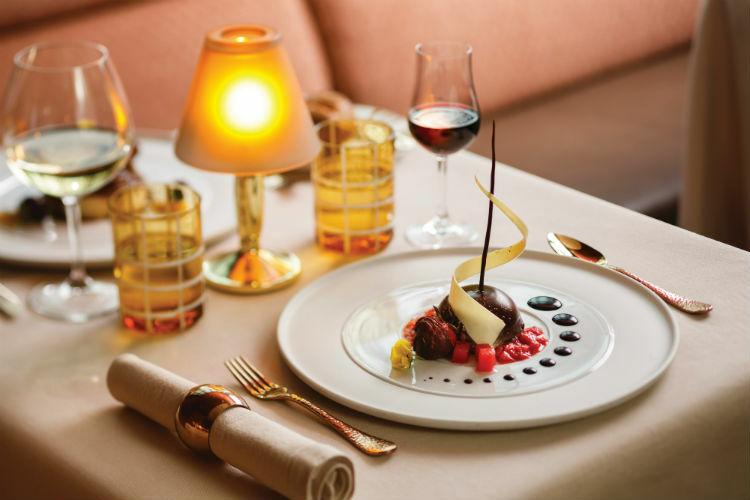 Many ships feature classic favourites and internationally-inspired menus, which have been designed by world-renowned chefs to ensure your food experience is as good as can be. During your luxury cruise, this level of dining is complimentary across most dining venues. There are complimentary venues which are included in your fare, then there are speciality venues which come with additional fees but are well worth it for a special occasion or treat. These venues often match the quality and service of a Michelin star land-based restaurant, at a fraction of the cost. And you can dine in them every night during your sailing! If you’re keen to explore each port’s delicacies, this is available to with plenty of food-based excursions and opportunities to enjoy as you sail. For a land-based holiday, food is equally important. Whether staying in a hotel or self-catered, you usually have to dine out for most of the holiday. That’s breakfast, lunch and dinner, as well as snacks all to factor into your overall budget. 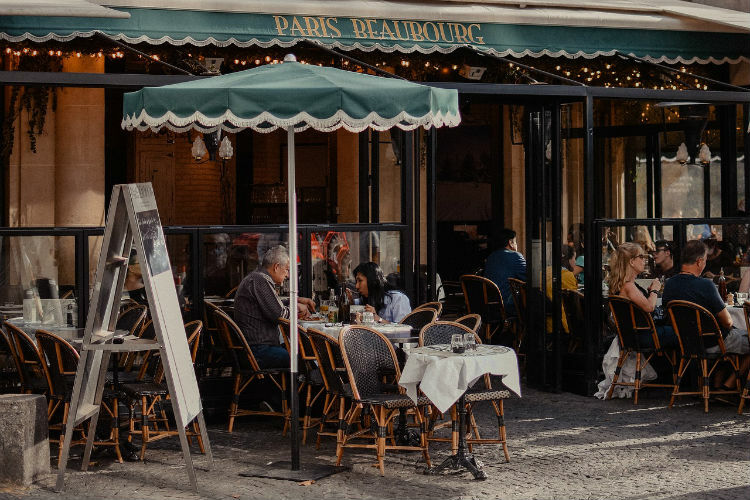 Most major cities also increase their prices in busy tourist areas, which means finding somewhere humble and honest can be quite hard if you’re somewhere new. As for Michelin-star level quality, you can easily find these most place you cruise to, but the costs are exponentially higher in comparison to a cruise ship. The consistent quality, delicious dishes and seemingly never-ending variety, a cruise ship offers the best option for dining during your holiday. You can even still hunt out hidden hems in each city if you wanted, so you get the best of both worlds! Alongside food, drinks are another thing to consider in your costs. When choosing between a cruise or a land holiday, which offers the best value for drinks? Most luxury cruise lines include selected wines, spirits and beers in your initial cruise fare, meaning you would just need to splash out on any premium-level drinks or cocktails. One of the main benefits to this is that no matter where you go on-board, you can enjoy a tipple hassle-free as it’s already paid for. A G&T beside the pool or a latte before bed – no matter what you choose to sip, you can relax in the fact that it’s all included! As for drinks on a land holiday, this tells a much different story. From juice at breakfast to local beers at dinner, each glass will need to be factored into your holiday budget. Not many hotels include drinks in your initial booking, and their prices can be quite pricey. 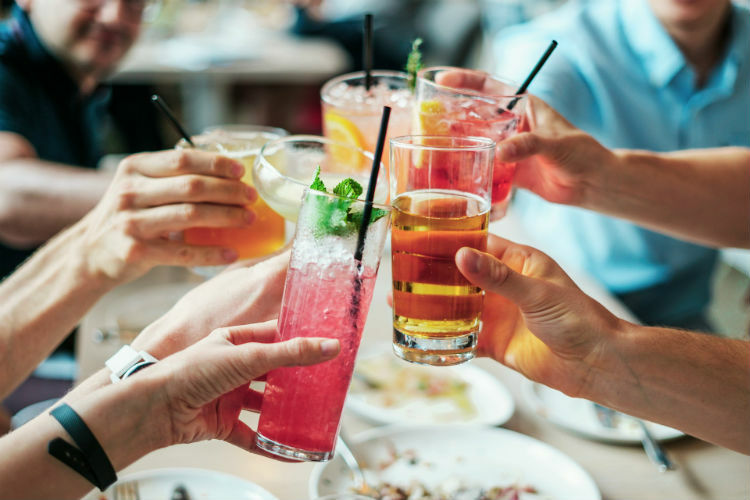 As for self-catered, you would need to buy your own alcohol in or head out to local bars and eateries where you’re faced with budgeting for each and every outing – which can impact your holiday experience. With a luxury cruise, everything is included. Drinks can certainly add up while you’re on holiday and a cruise offers excellent value for money because they are all already included. For a land holiday, all of your drinks need to be budgeted into your holiday which offers more control over your spending, but hinders your holiday if you’re watching your wallet. A holiday is all about making memories. Treasuring the time spent with those you love and looking back in years to come with contentment and happy thoughts. That’s why the activities and entertainment can be huge factors on your holiday choices – is there enough to do? What shows can I see? Which is the best attraction to visit? With a cruise, the activities and entertainment on-board are world class. 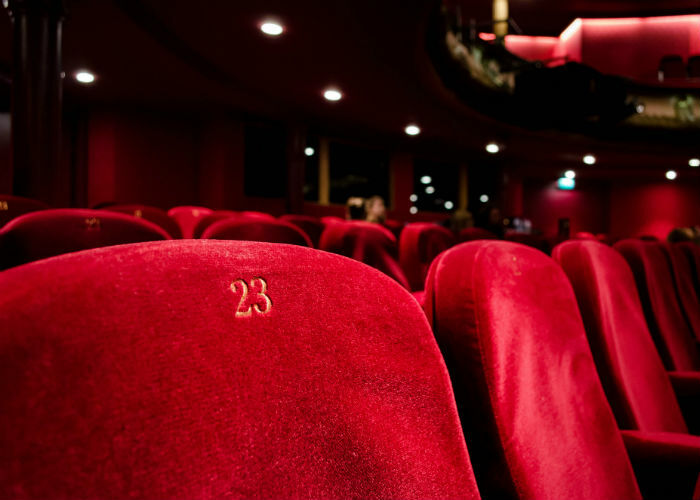 On the stage, you can enjoy Broadway-style shows, live theatre, expert lecturers or workshops and opera – each of which offers the same quality of entertainment as you would find on land. 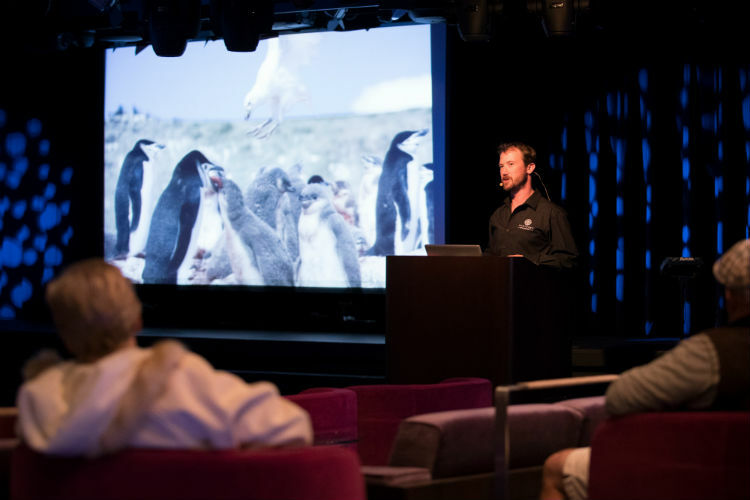 Many cruise lines also offer local entertainment, such as Azamara’s Destination Immersion experiences. With these, locals step aboard your ship while docked and perform for destination-focused fun, including dance troupes, musicians, and singers. For something to pass the days at sea, there are many other activities to enjoy in the day such as trivia games, mini golf, art galleries, libraries, fitness classes and gym workouts, as well as pools and whirlpools to relax within. Not to mention the spas, which are often operated under world-class brands such as Regent Seven Seas Cruises’ and Oceania Cruises’ Canyon Ranch and Seabourn’s Spa & Wellness with Dr. Andrew Weil. Treatments here are sublime, with tranquil experiences on offer for modest costs when compared to finding the same quality on land. On a land holiday, where your hotel offers entertainment it is usually a simple cabaret act or family-friendly show. 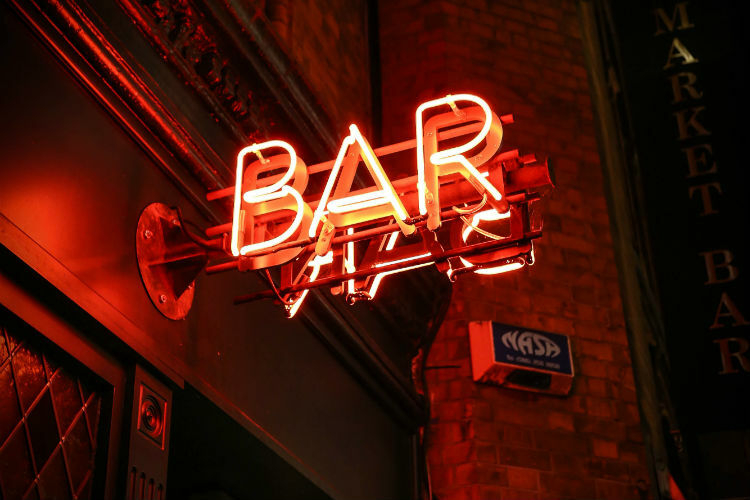 You won’t find expert lecturers or world-class Broadway shows here unless you seek them out yourself and when you do, you’ll find that they are expensive to book in city centres and offer limited choice depending on where and when you stay. As for spas, most hotels have them to some degree but charge for using just the sauna or steam room. If you’re staying in a hotel without these facilities or staying self-catered, then you will need to source a spa yourself which will then spend more of your holiday budget. Most of the things you can do on your cruise are included, meaning you can explore the decks and enjoy multiple activities at no further cost to your initial cruise fare. With a land holiday, there are no opportunities to watch Broadway-style shows, live opera or even experience immersive destination-focused acts without you having to seek these out yourself – which all cost more. Whether it’s good or bad, service is something we all remember from a holiday. 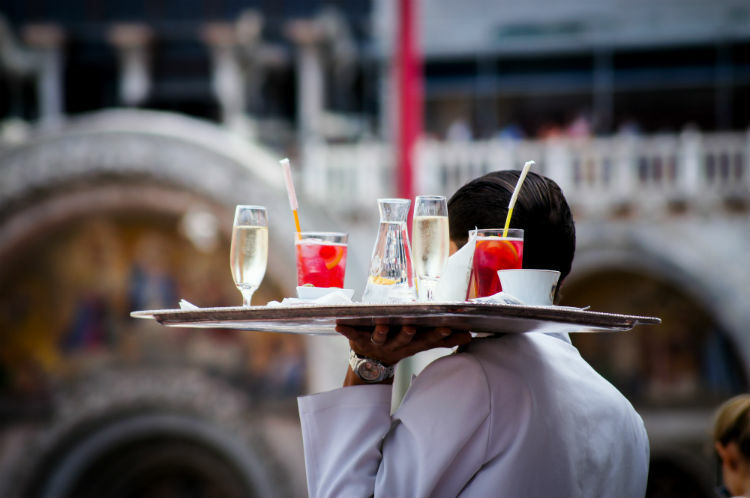 For a luxury holiday, service is what makes it that bit more special. 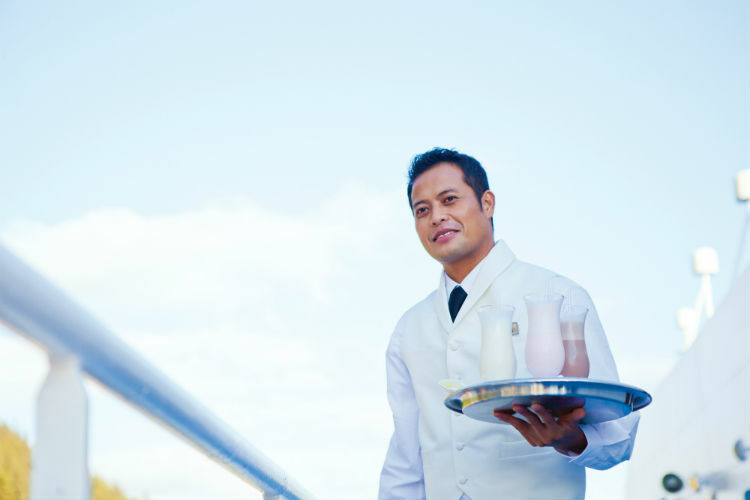 From butler service to personable staff, is it a land holiday or a cruise that does this better? It’s well-known that a luxury cruise’s service is impeccable. From the moment you step on-board, staff are happy to help with everything. The whole crew are professionally trained within the hospitality industry and provide a level of service unmatched to standard hotels you would find on land. Another touch is that the staff are experts at making you feel at home on a cruise. They recall your name at the bar and remember how you like your drinks. Dining is superb, with waiting staff topping up drinks and sommeliers providing guidance on what wine pairs well with the dish. Meanwhile, for all your other desires, your concierge awaits to fulfil every request. Staff are discreet, experiences and devoted – ensuring that your trip is comfortable and you have memories to last a lifetime. To reach the same level of service on a land holiday as you receive on a luxury cruise, you would need to be staying in some of the world’s top hotels and resorts. Butler service and elegant indulgences are all easy to come by on a cruise, whereas with a land holiday you would need to pay above the odds for this service just in your hotel. The standards are throughout your cruise ship too, so that would mean you would need to dine at the top restaurants in your destination, visit the most luxurious bars, as well as opt for six-star service in your dining venues. For service, a cruise is a no-brainer. The service is unmatched throughout and you are welcomed into every venue with a smile. From the moment you sit down to breakfast to tucking yourself in at night, its highlighted in the way staff treat you and ensure you’re as content as can be during your time on-board. To match this level of service with a land holiday, you would need to be booking some of the top hotels, restaurants and bars. So which is better value? There you have it – a comparison of all of the elements to consider when booking a holiday. Both a cruise and a land holiday have their pros and cons, you will know which is better for you and your family to choose. Though this doesn’t factor in costs that come with your cruise such as excursions, though some luxury cruise lines include theirs, it’s clear to see the level of value you get with a cruise when compared to a land holiday. Not only can you experience more destinations, more entertainment and more flexibility, but it’s also usually the same price or less than the equivalent on a land holiday. 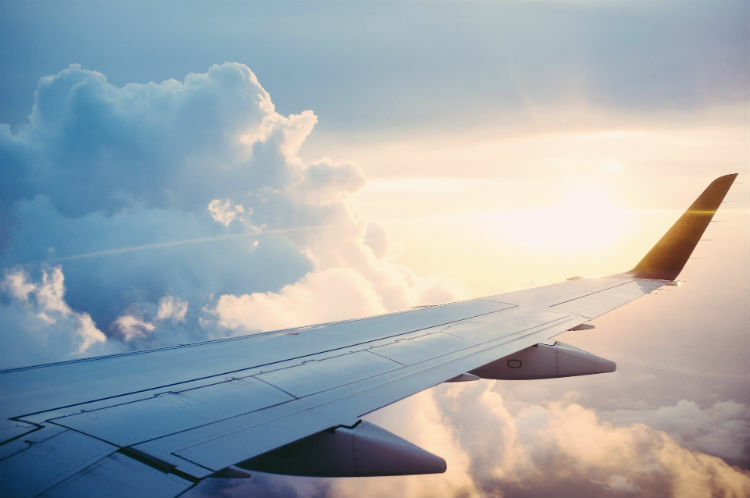 When it’s all included like this – from your flights and transfers to your accommodation and dining, you don’t need to worry about price fluctuations or missing out on seats for your plane as it’s all packaged together to make life as easy as it can be. When you take all the above into consideration, we believe there’s a clear winner for your next holiday! But don’t let us tell you – take a look at our latest luxury cruise deals by clicking the button below and find your perfect sailing today. If you have any further questions or would like to make a booking, call our Cruise Concierge team on 0808 202 6105 for expert advice on luxury cruises and a chance to secure your place on these extraordinary cruise lines.